Known for its 360-degree protection, the CR360 is a top industry contender in usability and protection. The CR360 is an all above-the-counter solution equipped with a gentle force tether and low profile sensor for an unbound user experience. 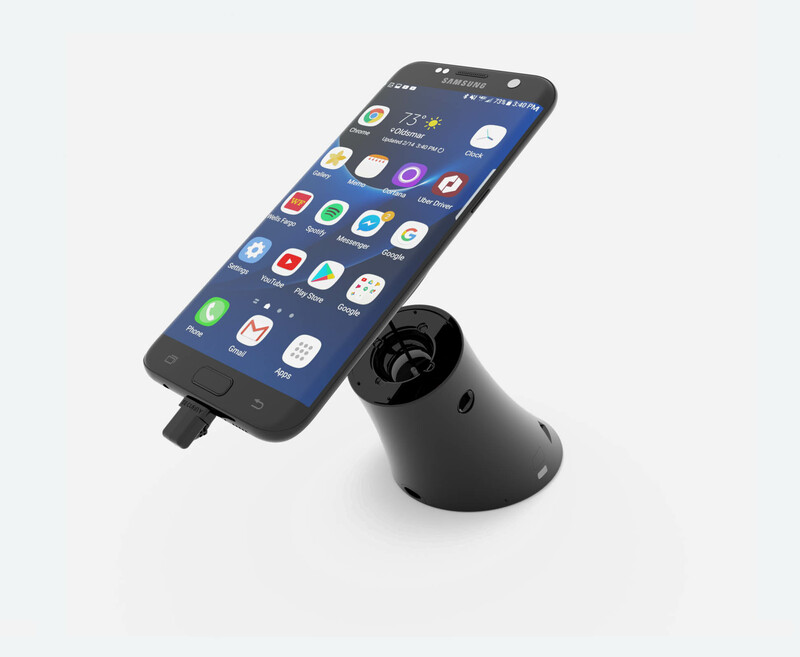 With the CR360, you can now cross merchandise your hottest selling accessories next to phones and tablets with the accessory port located on the back of the pedestal. The CR360’s quick release sensor gives your staff the ability to quickly transition from lockdown to customer demonstration mode in seconds. In demonstration mode an alarm always remains attached to the device and the pedestal for ultimate protection. The CR360’s cord reel tether is cut resistant, but for those who are in more demanding environments, a two or four arm high security bracket is also available.